Cyclotron Centre Bronowice (Centrum Cyklotronowe Bronowice, CCB) is a part of Institute of Nuclear Physics Polish Academy of Sciences in Krakow (IFJ PAN). 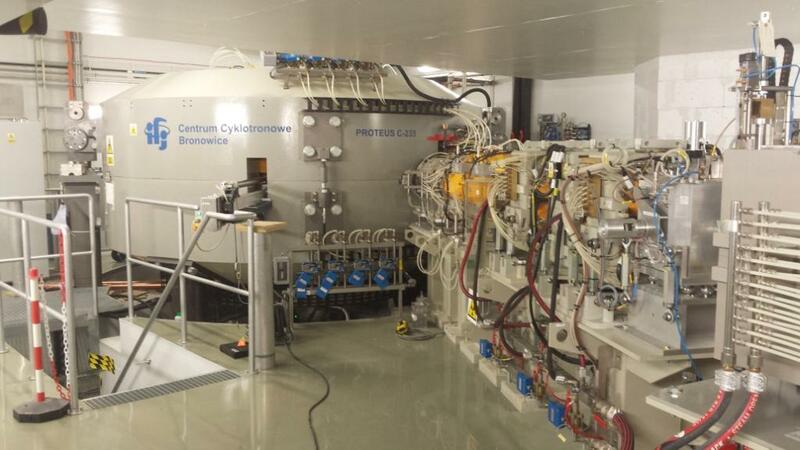 It is engaged in the application of cyclotrons in scientific research and tumour radiotherapy. The offered is an application of proton beam, produced by the C-235 cyclotron, for institutions and commercial organizations. two separate rooms for biological samples preparation (material of animal and human origin). 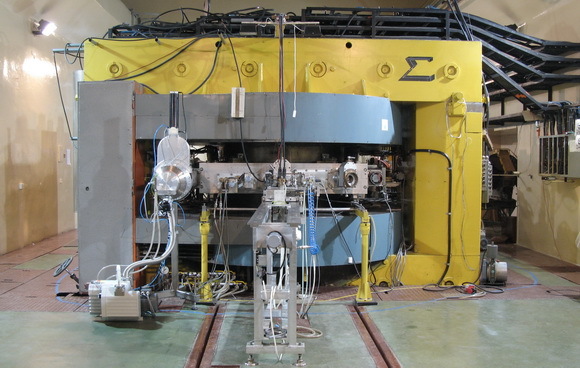 AIC-144 cyclotron is used fort the activation analyses of charged particles activation analyses a set-up with rotating probe holder was constructed and initial activations were conducted during 2010. Irradiated samples and standards are subject of measurements by means of low-background gamma spectrometry directly or after radiochemical purification. The latest increases the sensitivity of method. The idea of rotating holder enables irradiation of sample and standards in exactly the same conditions averaging all current fluctuations. One of planned application of the method is to biological systems, for detection of trace elements in biological material. The Department has workshop for design, production and regeneration of germanium detectors. The germanium detector group leader developed method of obtaining a low electrical capacity germanium detectors which enables detection of low energy gamma radiation. More details can be found at https://ccb.ifj.edu.pl/en.home.html. Material science based on the computed microtomography. Research activities of our laboratory includes imaging of internal structures of solids using computer microtomography. Images are collected using a classical computer tomography technique and novel phase contrast in the form of cross-sections. Studies are carried out on biological samples as well as on geomedical and industrial ones. More details can be found at https://www.ifj.edu.pl/dept/no5/nz52/en/index.htm.